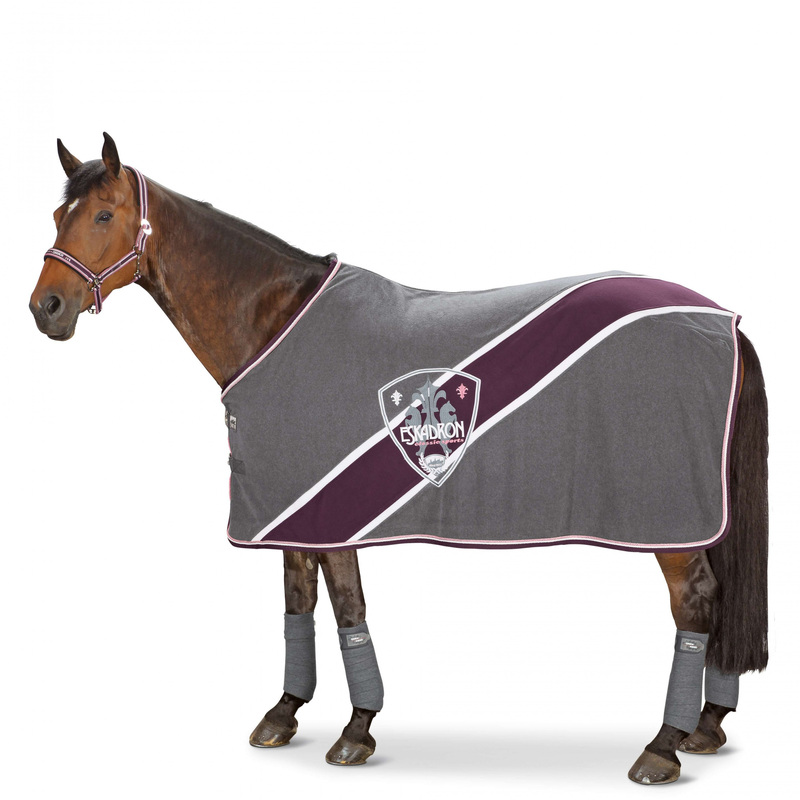 Fleece Rug from the ESKADRON CLASSIC SPORTS 2013 collection. 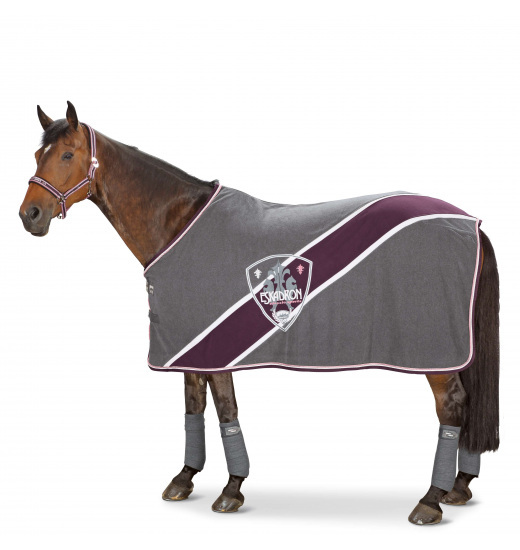 It has a printed company logo with a large coat of arm on one side.Fits very well to the horse. 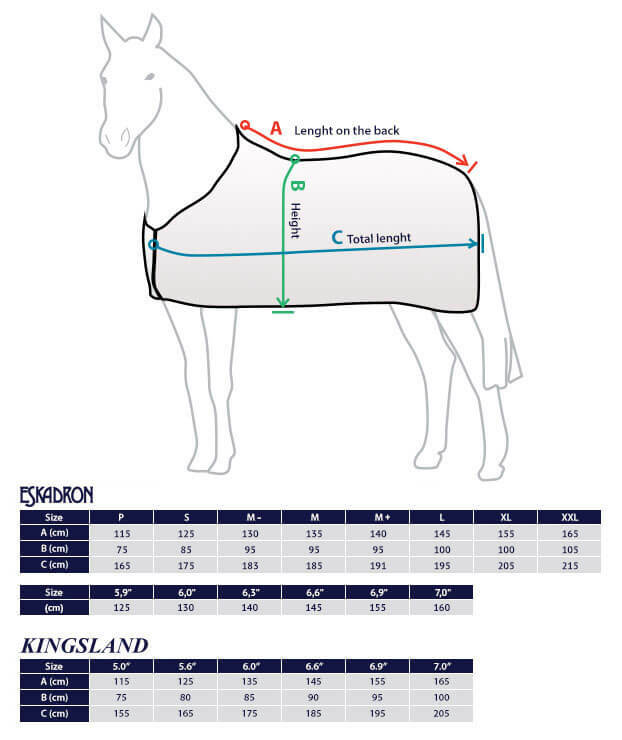 Gives great freedom of movement. Buckle fastening at the front with additional Velcro. 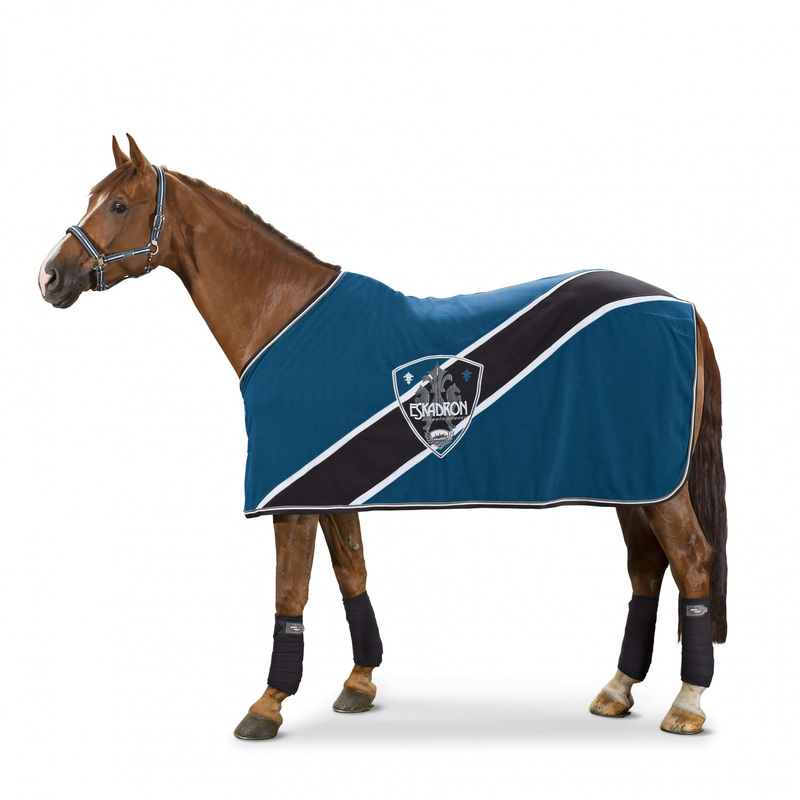 The perfect rug to the stables, to dry the horse after a workout, or for transport. Looks good. 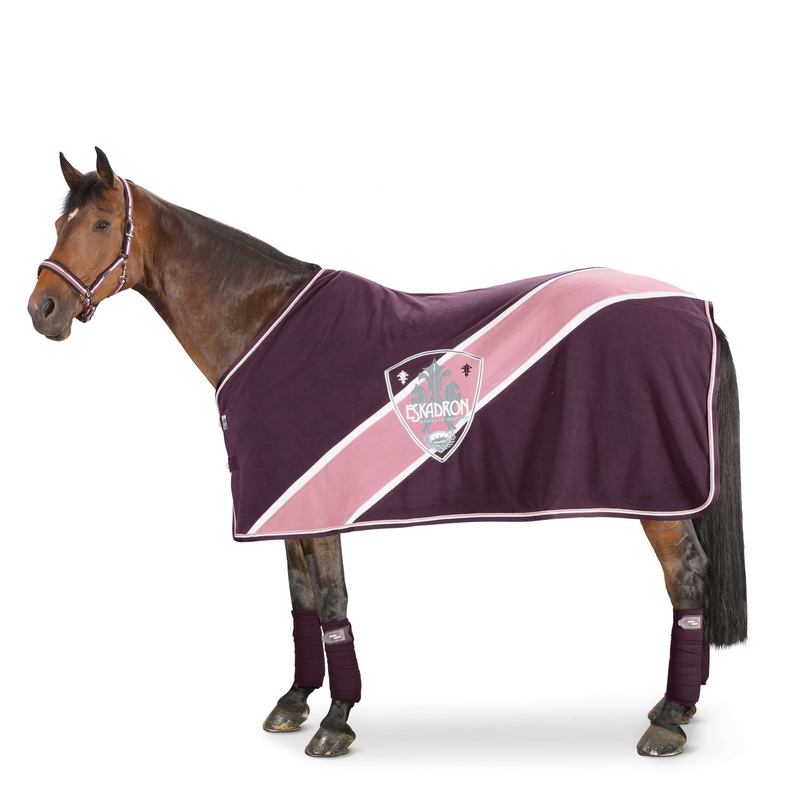 Available in three different colors: blackberry, ocean and pepper.